Amazon Give Alexa Follow Up Mode… Finally! There are a few irksome things about Amazon’s Alexa which are a bit rubbish, the fact you don’t have an “Owner Mode” and a “Guest Mode” and the fact you can’t set which search engine to pull results from and the fact 90 times out of a hundred it tells you “Sorry I don’t know that”, which brings us to follow up questions which the AI doesn’t get at all. Me: Alexa Where is my nearest Sainsburys store? Alexa: I found a Sainsburys store nearby, its approx 5 km away on London Road. Me: Alexa What time is my nearest Sainsburys Store open ? Alexa: Your nearest Sainsburys Store on London road is open from now until 4pm. Me: Alexa What is the phone number for my nearest Sainsburys store? Me: Alexa where is my nearest Sainsburys store ? Alexa: I found a Sainsburys nearby, its 6km away London Road. Me: What time is it open ? Alexa: Its open from now until 10pm. Me: Whats the phone number ? Alexa: The phone number is…. 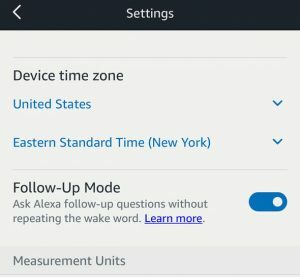 This new “Follow-Up Mode” is disabled by default and needs to be enabled using the Alexa Mobile Phone app, otherwise it won’t work, its as simple as flicking a toggle switch. You need to go to the Alexa App, then select Settings then choose the device you wish to enable it on, and scroll down to “Follow Up Mode” and flick the toggle. 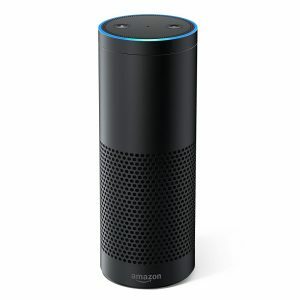 All Amazon Echo Devices will give users approx 5 seconds after their first query to ask a follow up question, during this time frame the blue ring on your device will be lit to make you aware Alexa is still listening. The Follow-Up mode is smart enough determine what is general chatter in the room verse what is a follow up question. Its not clear if it recognises the original enquirers voice or just recognises a question but its said to work. Its worth noting that if music is playing or an audiobook or similar it won’t remain active as its a fair assumption you won’t be asking follow up questions. Also if you wait too long and the blue ring stops flashing, you’ll need to use your chosen wake word, which is “Alexa” by default. Saying “Alexa”, “Stop”, “Cancel”, “Thank You”, or “Go To Sleep”, will end your session so you need to start from scratch should you do this. Its also worth noting if your query ends with these it can end your query too. I really want Alexa to have an Owner Mode and Guest Mode, by Owner Mode, I mean so Alexa recognises the owners voice much like “OK, Google” google can be set to recognise the owners voice pattern but it can be set to accept anyones voice. Owner Mode would be great for general commands, but Guest Mode for when your having a party and you want guests able to adjust the music or change the playlist or control the lights stuff like that. This would also open up the option of Alexa recognising multiple people, so “Turn my light on” could turn your light on, and when the missus says it, it turns her light on, and the same for any other command, playlists being a key one, adding to your diary and such. This is available in the USA only for now, but I would expect it to drop in the UK soon, the updates usually roll out quite quickly.